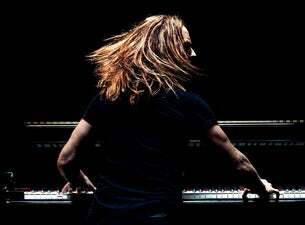 Comedian, musician, actor, writer and composer Tim Minchin is set to return to the UK in 2019 with his international BACK tour. It promises “old songs, new songs, f*** you songs,” hinting at the return of favourites as well as new material. As well as his acclaimed tours, Minchin is behind the music and lyrics for West End smash Matilda the Musical, taking home seven Olivier Awards and five Tony Awards, among others. He also wrote the music and lyrics for the stage adaptation of Groundhog Day, which debuted on Broadway in April 2017. The appropriately titled BACK tour sees him return to the stage having starred in film and TV. His most recent appearance is in ABC’s Squinters, as well as being scheduled to appear as Friar Tuck in the forthcoming Robin Hood film. In 2019 Minchin also star in UPRIGHT, a new eight-part series.